Many universities and schools now only due to it clean smell and is less harmful than turpentine and white spirit. 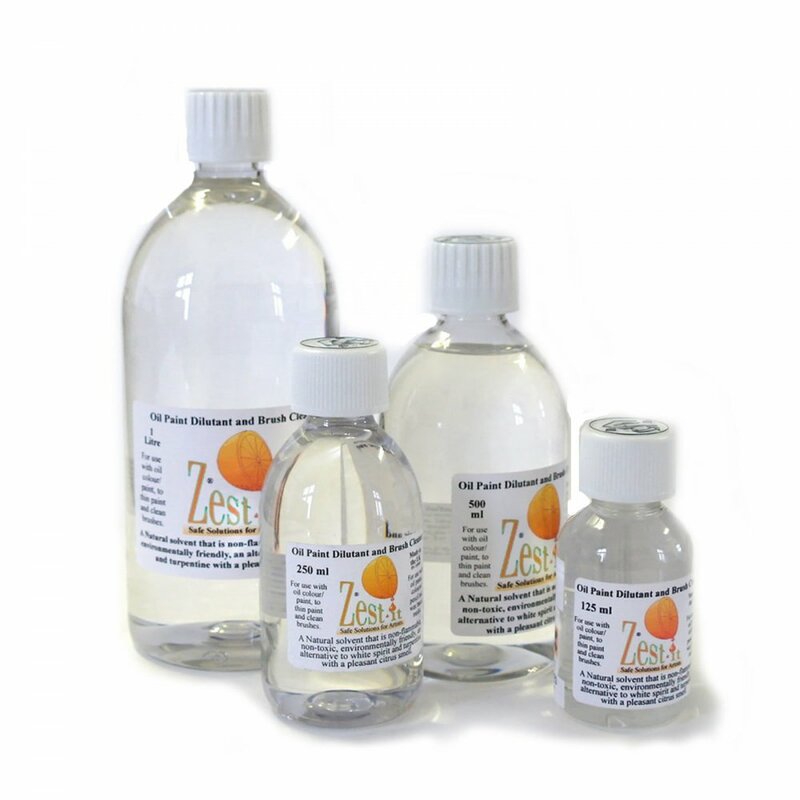 Zest-it Oil Paint Dilutant and Brush Cleaner is a solvent used by oil painters. It is made from an Aliphatic Hydrocarbon and pure food grade Citrus Oil. It has a neutral pH value and contains no CFC's or Aromatics and has low VOC's. It is a clear, colourless liquid which has a pleasant 'orangey citrus' smell, is inherently biodegradable and evaporates without leaving any residue. Independent laboratory tests show it has no detrimental effect to the oil paint or pigment quality, proven stability and a long active life. A bit about the brand: Zest Its' mission is to provide safe solutions for artists that are environmentally friendly. They are dedicated to providing the products and product information together with projects, techniques and expertise that help people achieve their artistic aspirations. I wanted to let you know how much better it was in the art room today using the Zest It. What a difference from the turpentine!